Facebook and Skype have announced a tie up which will make it far easier to talk and chat through the social network. This has been rumoured for some time and the new version of Skype for Windows will include a Facebook tab. So when you upgrade to Skype 5.0 for Windows you will be able to sign in using Facebook Connect and use voice chat, SMS, make status updates, like and comment on Facebook posts from within the Skype desktop client. CommScore have recently releases their first comparative report on mobile usage in Japan, United States and Europe and it makes for interesting reading. They examined multiple dimensions of mobile usage to get a comparative look on how consumers interact with mobile media across various geographic markets. In particular, the focus of the report was on content consumption, demographic comparisons and the top social networking brands across markets. There are significant geographic differences as the key findings below indicate. Mobile users in Japan were the “most connected” of the three markets, with more than 75 percent using connected media (browsed, accessed applications or downloaded content) in June, compared to 43.7 percent in the U.S. and 38.5 percent in Europe. Japanese mobile users also displayed the strongest usage of both applications and browsers with 59.3 percent of the entire mobile population accessing their browsers in June and 42.3 percent accessing applications. Comparatively 34.0 percent of mobile users in the U.S. and 25.8 percent in Europe used their mobile browsers, with 31.1 percent in the U.S. and 24.9 percent in Europe accessing applications. Messaging methods also varied with Europeans displaying the strongest use of text messaging with 81.7 percent sending a text message in June, compared to 66.8 percent in the U.S. and just 40.1 percent in Japan. Japanese users exhibited the highest reach in the email category at 54 percent, while consumers in the U.S. were most likely to use instant messaging services on their mobile (17.2 percent). Social networking/blogs reached the greatest percentage of mobile users in the U.S. at 21.3 percent, followed by Japan at 17.0 percent and Europe at 14.7 percent. Japanese users were most likely to capture photos (63.0 percent) and watch TV/video (22.0 percent) on their mobiles, while Europeans were most likely to listen to music (24.2 percent) and play games (24.1 percent). Across markets, local and global brands showed varying levels of adoption by mobile audiences. In all three markets, the top mobile social media brand mirrored the top PC-based social networking brand with Facebook leading in the U.S. and Europe and Mixi leading in Japan. 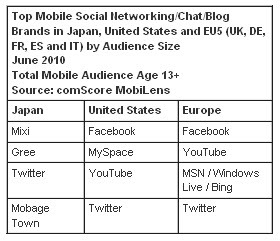 Local brands Gree and Mobage Town were the #2 and #4 most accessed social networking brands in Japan. Twitter was the only brand to be ranked in the top four in all markets. Google's Android continues to take significant market share from other smartphone platforms, particularly in the US market as this chart shows. So where to put your money - app development or a website for mobile? A mobile website appeals to the broadest possible audience without having to design multiple apps. Visits from Android devices have increased for retailers and a mobile website is the best way to appeal to both Android and iPhone users. If you are using apps you have to search for them and download them to a phone whereas users can come across your mobile optimised site through mobile search. 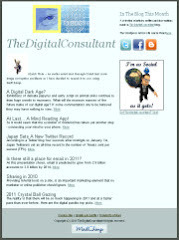 On the mobile web you can always email or refer a link and any browser can open it. You can't link to and from an app. Apps go through an approval processbefore release and any subsequent readjustments. Mobile sites allow you to change your site design and update without any such restrictions. Big retailers in the Uk such as Marks and Spencer are reaping the benefits of investing in mobile web sites. Their m-web site which was launched in May has attracted 1.2million visitors, with more than 10million page views and (most importantly) 13,000 orders from the site.
" For M&S the m-commerce site is all about getting product quickly and easily to consumers via mobile and paying for their product on their mobile device. Our aim is to integrate mobile as a channel to stand alongside web, phone and stops as part of ‘Shop Your Way’, to increase basket size and drive sales. The last time I stuck a stamp on an envelope was more than a year ago. Email has now largely replaced postal (snail) mail but Britain's Royal Mail clearly thinks otherwise. They are laying claim to the world's first 'Intelligent Stamp' through their recent release of the Great British Railways Special Stamps edition. 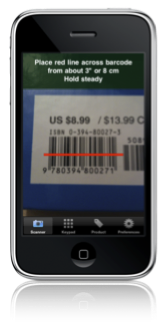 The Intelligent Stamp is the first to work with image recognition technology, and can be accessed on an iPhone or Android Smartphone via the Junaio application. The app. contains a Royal Mail channel which activates the phone's camera and launches the exclusive online content, featuring Bernard Cribbins reading W H Auden's poem, Night Mail. Get the app. at iTunes and Android Market for free.